This is the introductory lesson of the ITIL Intermediate tutorial, which is part of the ITIL® Intermediate SS Certification Training. This tutorial will give you an overview of the course, its prerequisites, and the value it will offer to you. The ITIL Intermediate Qualification: Service Strategy Certificate is a free-standing qualification but is also part of the ITIL intermediate lifecycle stream, and one of the modules that leads to the ITIL Expert Certificate in IT Service Management. The purpose of this training module and the associated exam and certificate is, respectively, to impart, test, and validate the knowledge on industry practices in service management and strategy as documented in the ITIL Service Strategy publication. Let’s understand the objectives of this tutorial in the next section. This qualification provides a complete overview of service strategy including all its related activities: how to design, develop, and implement service management not only as an organizational capability but also as a strategic asset. Let us now look at the target audience in the next section. Preparing for a career in IT Service? 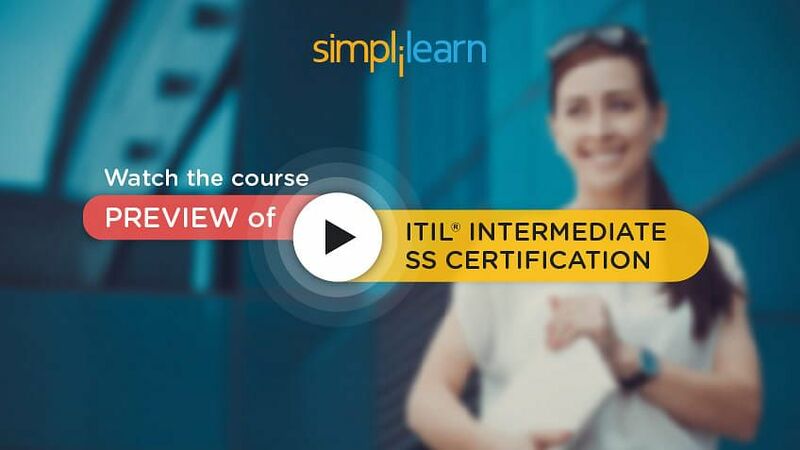 Check out our Course Preview on ITIL Intermediate SS here! Let us now look at the exam prerequisites for this tutorial in the next section. It is also recommended that candidates should complete at least 21 hours of personal study by reviewing the syllabus and the ITIL Service Strategy publication in preparation for the examination, specifically Chapter 2: Service management as a practice. In the next section, we will discuss Service Strategy exam format. ITIL 2011 SS Exam consists of Eight (8) Multiple Choice Questions, which will be Scenario-based, gradient scored questions. Each question will have 4 possible answer options, one of which is worth 5 marks, one which is worth 3 marks, one which is worth 1 mark and one which is a distracter and achieves no marks. The duration of the exam is 90 Minutes. As a Prerequisite, you need to have an ITIL 2011 Foundation Certificate OR ITIL V2 Foundation Certificate plus Bridge Certificate AND Completion of an accredited course from an ITIL Accredited Training Provider. It is a supervised exam and closed book. You need to acquire a minimum Pass Score of 28 right answers out of 40 questions or score 70% in the exam. Let us explore the lessons covered in ITIL SS Tutorial in the next section. There are nine lessons covered in this tutorial. Take a look at the lesson names that are listed below. Details of Key concepts such as Services, Value Creation, and Assets, etc. Identify the Service Management Assessment, its Variables for the implementation. Curious about the ITIL Intermediate course? Watch our Course Preview for free! With this, we come to an end about what this ITIL SS tutorial includes. In the next chapter, we will discuss the Introduction to Service Strategy Tutorial. 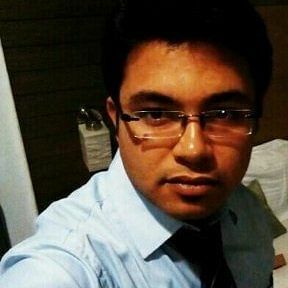 "Simplilearn's ITIL suite is very good to learn and follow. The content and flow has been exemplary. 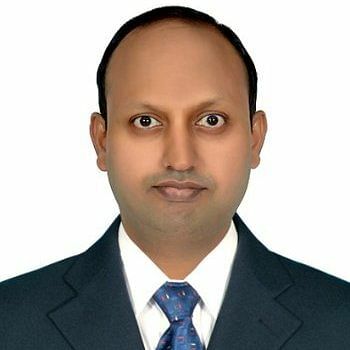 Thank..."
"I am impressed with the professionalism shown by Simplilearn team from the beginning to end of the traini..."
"Training was very good specially the trainer was excellent. He made us understand very well citing varied..."
"Very nice & informative. Thanks a lot. "